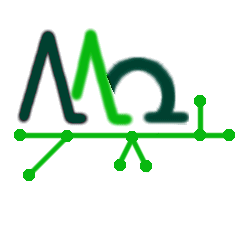 The LeadId project aims at developing computer methods for HTS data analysis. We designed a novel software tool that guides the chemist through the process of selecting suitable hits to find new lead structures. Input are the results from the HTS experiment (i.e. binding information and the corresponding molecular structures). Output is a list with several possible biophores. The datamining process is totally interactive and all results are presented in a user friendly interface. The LeadId project combines datamining techniques with cheminformatics. We use our previously developed Feature Trees descriptor for the basic concepts of molecular similarity. Feature Trees is a fragment based, 2.5D molecular descriptor. The molecule is described by a tree structure representing its major chemical building blocks and the way they are connected. In order to compare two molecules, highly efficient mapping algorithms are used to generate a matching between groups of molecule with similar steric and chemical properties. We extended the pairwise Feature Trees method to multiple ligand comparisons.